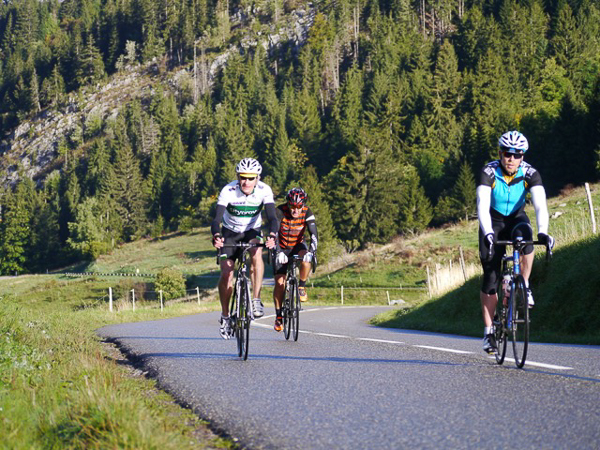 Although our standard ‘Classic’ and ‘Lite’ long weekend breaks provide a good deal of challenge and a lot of riding, we know that some groups want to enjoy amazing cycling, stunning scenery and hassle-free hospitality for longer than 4 days. Groups of 6 or more can choose from a very wide range of custom-built cycling holiday options, for a week or longer, based on our extensive riding and guiding experience. We know the best parts of France for cycling, and have the resources (minibuses, trailers, rental bikes etc.) to support you anywhere you wish to ride. In short… we can make your group’s dream cycling trip happen, no matter what you’re looking for. France has a huge range of road cycling regions which deserve extra time to explore and experience. From the famous Tour de France climbs of the Alps to the glittering Côte d’Azur, there are routes to suit every group of cyclists, no matter their experience, age and fitness level. Cycling aside, the relaxed culture, fine food and wine and pleasant summer climate that France offers make for a truly memorable trip, both on and off the saddle. These longer cycling holidays, with itineraries customised for each group’s needs, allow a really wide range of riding, including routes combined across several different regions. A full weeklong tour can take in the best of the Northern and Southern Alps, cycling through majestic mountain scenery and climbing as many famous Tour de France Cols as you think your legs can handle. Ticking off Alpe d’Huez, Col de la Madeleine, the Galibier and Col d’Izoard in a single trip? It’s possible… start training now! If you fancy something not quite so intense, how about immersing yourselves in the warmth and beauty of Provence? A whole week can be spent exploring quiet villages, vineyards and fruit fields before finishing with the stark beauty and boundless views from the summit of magnificent Mont Ventoux. Our longer and week long trips can start on any day of the week; we are not fixed to the usual Saturday to Saturday changeovers of some tour operators. We provide a fully flexible service, designing each trip on a case-by-case basis according to the requirements of each group. These trips are possible for groups of 6 or more, in all of our cycling regions: the Northern French Alps, the Southern French Alps, the Provence / Ventoux region and the Côte d’Azur. The following example itineraries for weeklong cycling tours are just a guide to what’s possible – all of these trips can be extensively customised to every group’s requirements. 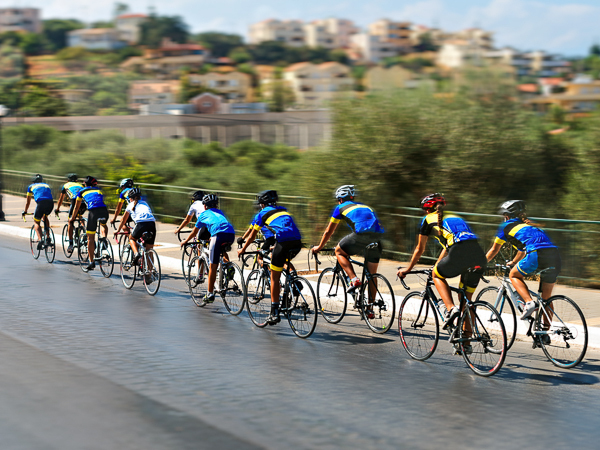 If you have a group or club cycling trip in mind, let us know general details – group size, possible dates, stay lengths, preferred regions and cycling experience / fitness – and we can put together suggestions on locations and possible routes. Our proposal can be completely tailored to your requirements; our aim is to make your planning process as easy as possible throughout. Fly into Geneva, transfer to Le Grand Bornand. Settle in, build bikes; brief warm up ride before dinner. "Gentle" ride around stunning Lake Annecy, taking in Col de la Forclaz for the view and first stretch of the legs. Aravis Loop ride – Col de Marais, Col des Aravis from Ugine (plus Col de l'Arpettaz for the brave). Col de la Colombière (with the extra ascent of Col de Romme if that looks too easy). Minibus to base of Télégraphe / Galibier climbs. Ride the cols, drop into La Grave to new base. Col de Lautaret (2057m) and Col d’Izoard (2361m). Finish an epic trip - and possibly yourself - with the legendary 21 hairpins up to Alpe d’Huez. A lie-in and chilled morning - you've earned it! Minibus transfer back to Geneva for departure flights. Fly into Marseille or Nice, transfer to Bedoin. Gordes, Roussillon & many more. The big one - tackle legendary Mont Ventoux! Classic ascent from Bedoin, back down to Maloucene. Ride the Dentilles de Montmiral & Vacqueras vineyards. Bormes les Mimosa & Routes des Crêts. coffee in Colobrière & onto the charms of St. Tropez. back to Marseille or Nice for departure flights.